(¸.·´RV having fun yet?.... 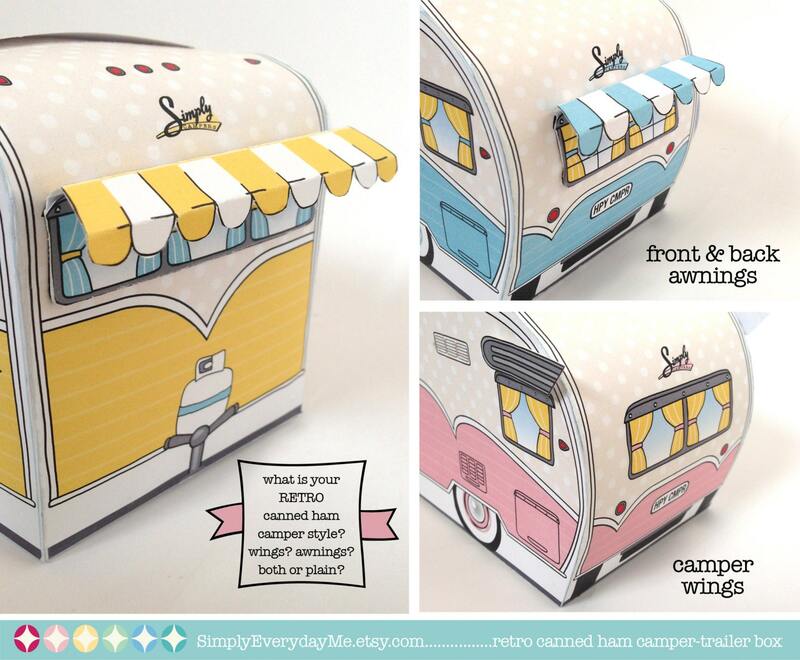 You will love this darling GREE RETRO CAMPER Printable Box. 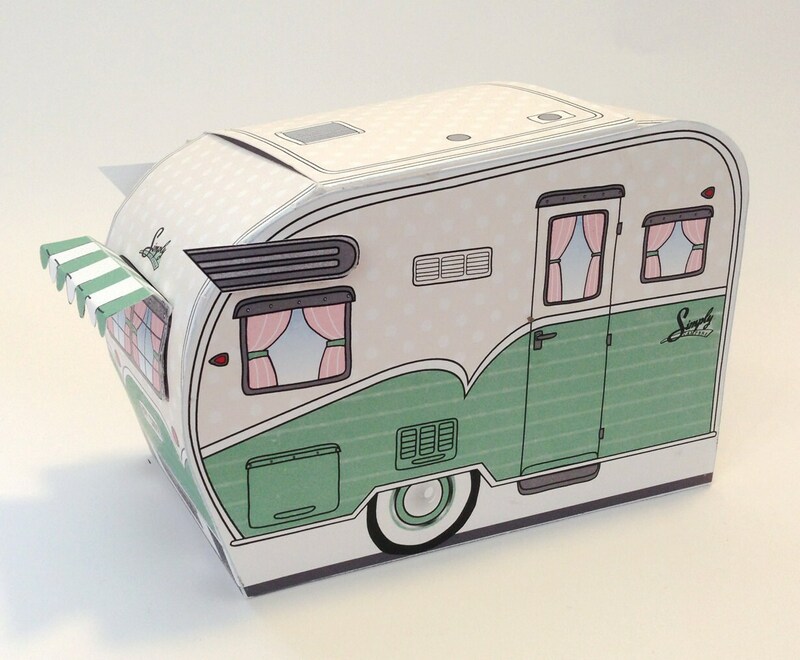 Included in the kit: Green Camper ★ camper wings ★ with front & back awnings ★ removable cupcake trays ★ editable flags for cupcakes or straws ★ adorable cutouts ★ Full color Step-by-Step Instructions, plus Information for materials need & paper suggestions. When assembled box measures 5.5"w x 3.75"h x 3"d (widest/highest points of the box). 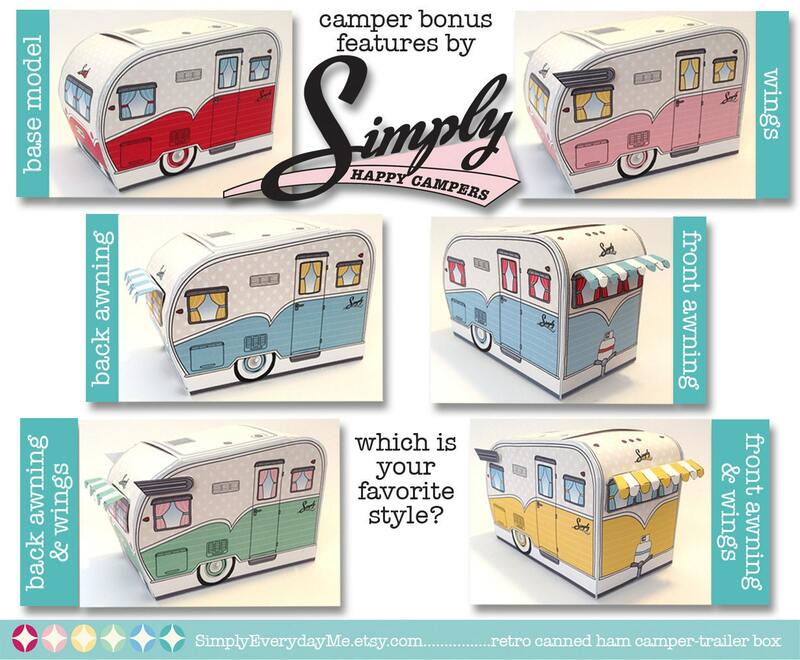 ★ EACH COLOR IS SOLD SEPARATELY - THIS LISTING IS FOR THE GREEN RETRO CAMPER. 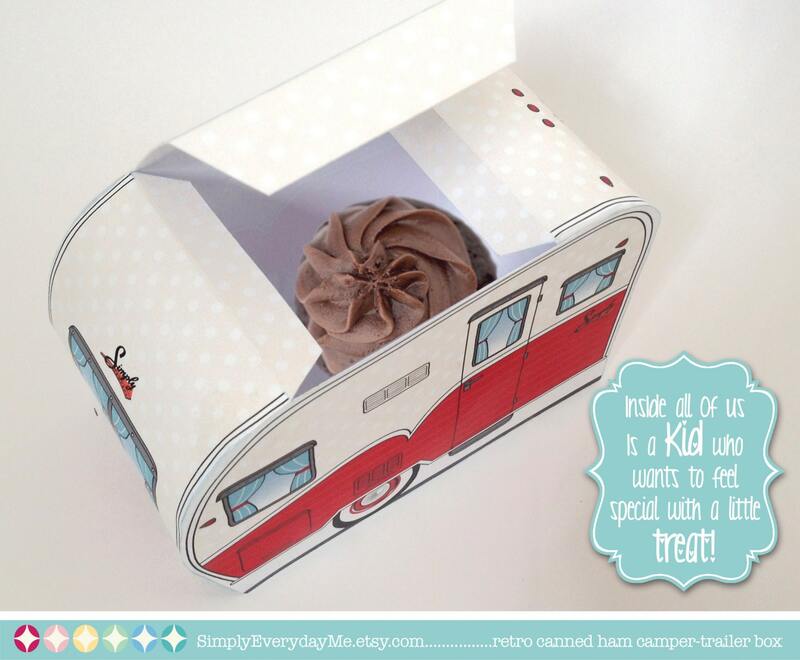 This little delight will fit cupcakes, gift cards, cookies, homemade treats… even your own little package of s’mores! 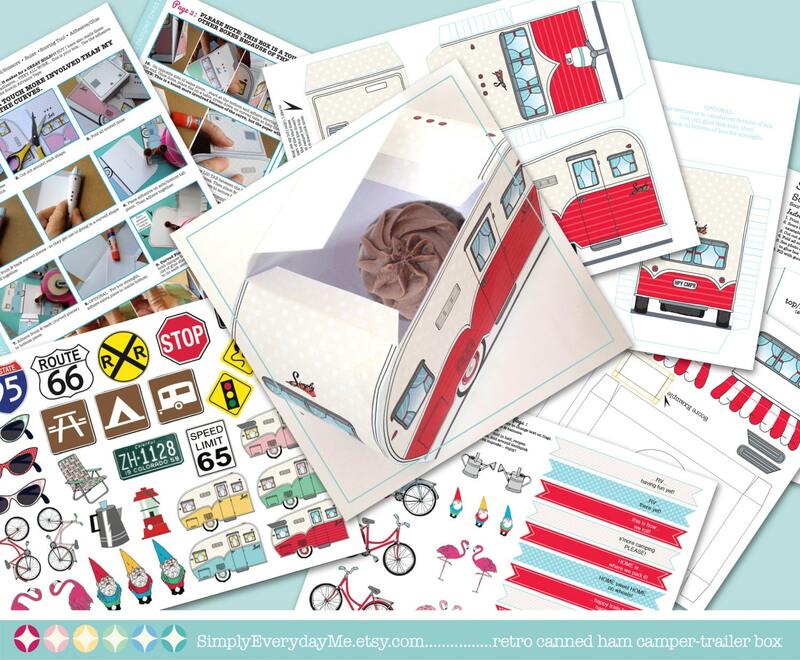 They make any wedding, shower, birthday, or camping party full of unexpected joy…. Because nothing brings joy like a little box filled with a sweet treat. Really cute and the instructions I'm sure explained how to put it together, but it was way too much work for me. I didn't know when I purchased it that it would be that involved :/ wish there was an option to buy it already put together!